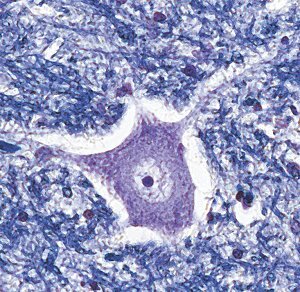 At disease onset, focal pathology restricted to distinct brain areas is a feature of FTD and MND. However, the disease progresses and spreads by unknown mechanisms and the pattern of spread over time is poorly documented. ForeFront will examine how progression occurs in the different clinical syndromes and proteinopathies using three main branches of laboratory-based research. Prof Halliday coordinated the first clinicopathological and survival studies published on frontotemporal disease and her laboratory developed the tool now used internationally to stage the disease. Prof Kril developed postmortem volumetric techniques, and is recognised for her quantitative studies on these and other neurodegenerative conditions. Their data are been used in all the pathological criteria for these diseases. Retrospective clinical analyses (Halliday and Hodges) – Postmortem cases will be stratified according to clinical syndromes and a range of defined candidate cognitive, linguistic, behavioural and radiological features assessed using multivariate statistics. Retrospective pathological analyses (Kril) – We will apply a full range to immunohistological stains to the large clinically well-documented cohort of postmortem patients with particular clinical syndromes and multivariate statistics applied to identify features predictive of the underlying pathology. Assoc Prof Ittner recently identified the mechanism of interaction between tau and Abeta, and has recently published cell TDP models using his new neuronal culture system. Molecular mechanisms of toxicity – A wide range of molecular mechanisms and pathways will be studied in primary cell culture to determine the contribution to cell death induced by different species (e.g. those identified above as contributing to progression) and mutant forms of tau, TDP43 and FUS. The protein-specific toxicity profiles will be compared to establish a complex network of shared and distinct modes of pathogenic pathways. Prof Götz, who developed the first transgenic mouse model of frontotemporal disease, has continued to develop animal models and other tools to look at a variety of disease mechanisms. Identifying genes that confer protection – To identify protective genes, Affymetrix gene chips and differential gene expression will be used for transcriptional profiling of laser-captured dopamine neurons from K3 mice and non-transgenic controls, and validated with quantitative RT-PCR. We expect to identify several hundred candidate genes differentially expressed in dopamine neurons, a small subset of which will confer protection to tau-mediated neurodegeneration. 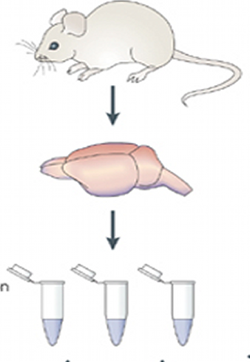 To determine whether the ‘persisting’ genes confer ‘survival’, we will use in situ hybridisation and immunohistochemistry to analyse brain sections of a wide age range of K3 and non-transgenic control mice to determine which genes discriminate vulnerable from protected neurons. How to get involved with research projects. Australia, the lucky country... with good employment prospects, a high standard of living, wonderful health care and beaches, bush, and landscapes the envy of the world. However Australia’s poor mental health is a national health crisis that demands our attention. We have the second highest incidence of depression in the world Nearly 3.5 million Australians suffer from a form of anxiety The leading cause of death in individuals aged 15 to 44 is suicide, with young tradesmen 70% more likely to take their own lives than males employed in other industries. We are losing too many spirited and warm people to suicide and depression, watching families torn apart by chronic anxiety and lives severely affected by conditions like schizophrenia and bipolar disorder. Please support mental health research at NeuRA Will you help NeuRA invest in mental health research, with a gift today? Or perhaps you’d like to become a Discovery Partner, and give a small amount monthly? Mental health research at NeuRA is growing, and there is some exciting breakthroughs on the horizon. I invite you to give today, and become a partner in those breakthroughs. Thank you for your support. Child Car Restraints - What parents are still doing wrong.